DLC was excited to have participated in the Valley Craft Network 2014 Holiday Studio Tour. 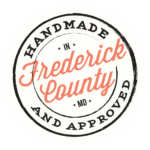 The Valley Craft Network is an association of professional artists and crafters living and working in the Middletown and Pleasant Valleys of Western Maryland. During the annual Holiday Studio Tour, the public is invited to visit each studio and enjoy a wide variety handcrafted wares including pottery, paintings, jewelry, wood products, textiles and fiber art and accessories. This free self-guided tour is scheduled every year the weekend before Thanksgiving. More information at https://www.facebook.com/VCNStudioTour and http://www.valleycraftnetwork.org/.